94win30wcf and PoopDeckPappy like this. I started to opine that your bullets were for the 8mm Mauser but see that they are .32 Spl bullets. Any chance of getting some 165 grain cast bullets. The you would be shorter. did you seat and crimp the bullet at the same time. yrs ago I loaded for the 32.40 with that bullet. different case. seat the bullet in one step. crimp with another step. do the rds function and chamber with the rifle. what case is in your picture? it not nickle plated. So either the case is too long or the cannalure is not correct for your cases. Do you have cases that fit? are they the same case length as the ones that don't fit. As a handloader, one of our functions to to make the cases fit the chamber, regardless (almost) what the book says. Your cases do not fit the bullet you are using. When you size the cases, make sure they are sized correctly, ie to fit your chamber. Do you have any that were fired in your chamber? If so, take some measurements and make sure it really is 32-40 in there and check shoulder lengths (or taper lengths). The cannalure on the case is preventing the bullet from seating deeper, so you need to run the expander plug deep enough to iron that out. IF we were at your bench, this would be easy, but trying to second guess what is happening can be a struggle...good luck. 94win30wcf and Travlin like this. Yes, it is one of the brass WCF .32-40 casings which are new, unfired. Thanks Sweetwater! The die set I am using only comes with the resizing/de-priming die, and a seating die. The nickel plated casings (which I have not tried to load yet) were fired in this rifle. I am starting to think that I don't have the resizing die adjusted correctly . . .
That's probably right, but it still won't help you with the cannelures on 32 Special bullets--they're in the wrong place for the 32-40. You can either get a tool (I think Lee makes them) to put a second cannelure on them, further up the bullet, or crimp with a Lee FCD, which doesn't require a bullet cannelure. 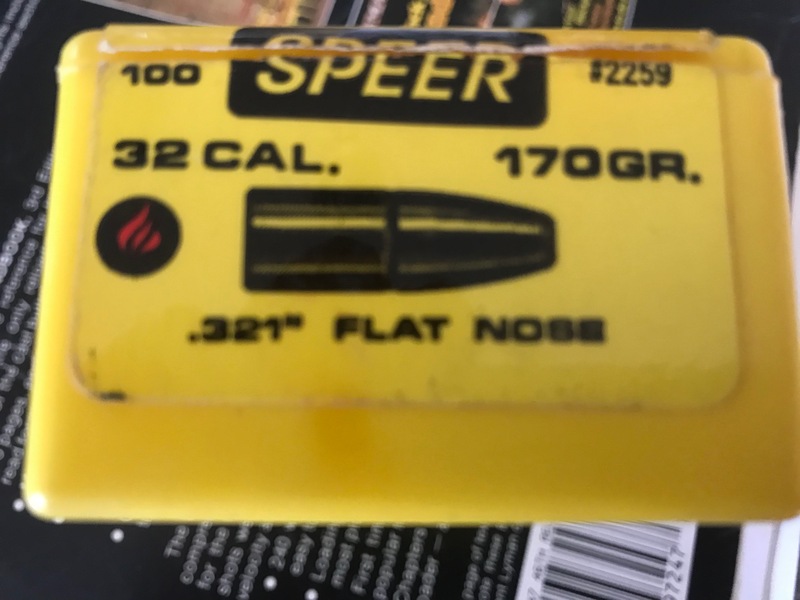 The old Remington 32-40 bullets had 3 cannelures and a grease groove, even though they were jacketed, so you could crimp at the one closest to your chamber size; they were .320 diameter, and had flat points and a lot of exposed lead so as to expand correctly at 32-40 speeds. They were also used in the 32WS, though perhaps a bit undersized--no biggy! 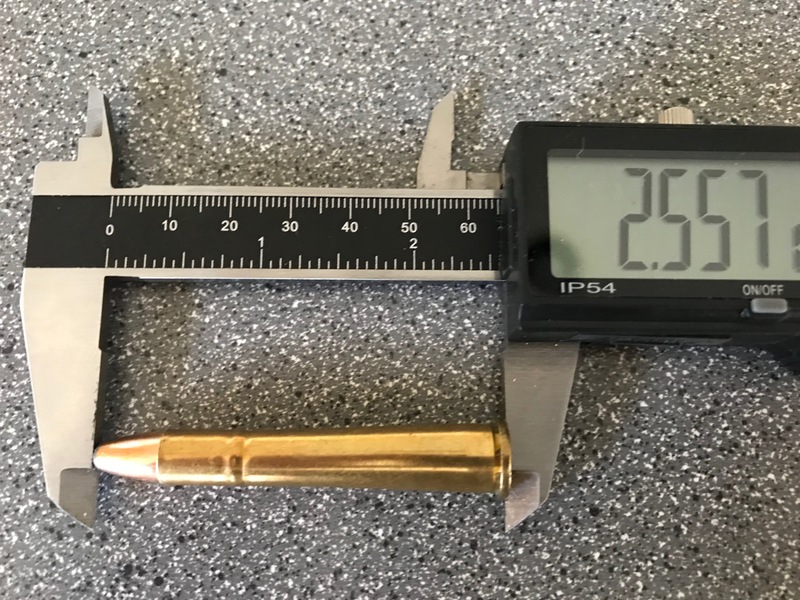 B22824 was Remington's designation for that bullet; it was 165gr. Watch for 'em on GB; they show up two or three times a year. sonny, whar i growed up "magnum" wuz another word fer "lousy hunter"! Thanks Windy for the input and history! 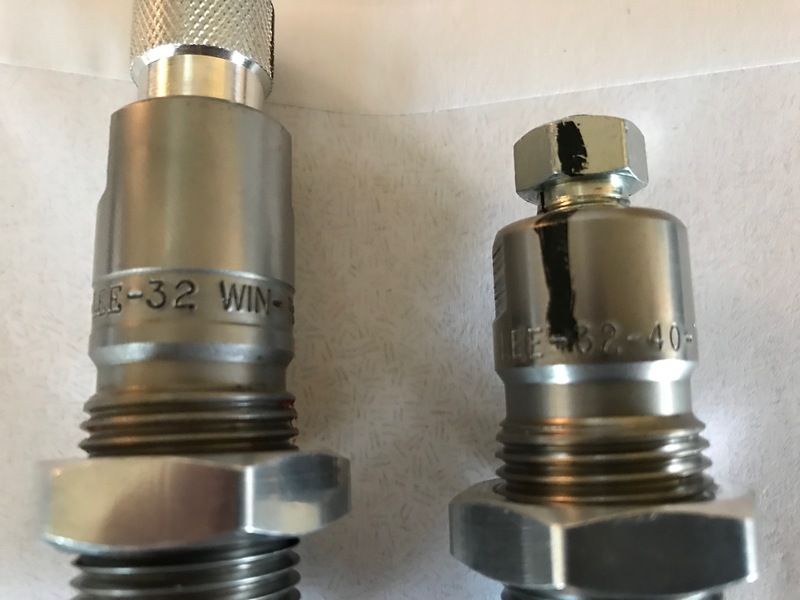 So I was looking at my reloading dies (from Lee Precision) and noticed that the resizing/decapping die and the seating die have different caliber markings on them. Do you folks think this might be part of the problem I am having?